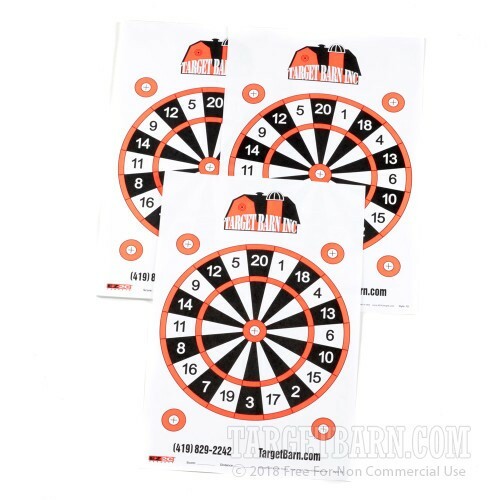 These highly-visible targets are produced on bright white target paper, and printed with non-reflective Day-Glo orange scoring zones. They are perfectly sized for indoor range shooting at 50 feet, or outdoor practice at any distance. 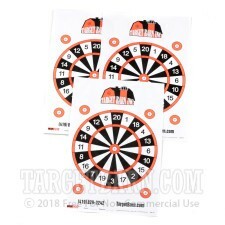 This target has a dartboard game printed in orange and black numbers on the white paper target.